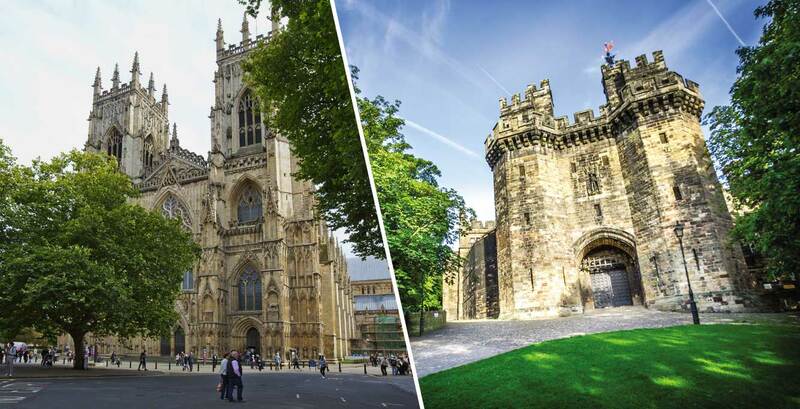 Way back in history – more than 450 years ago – Lancaster and York were literally at daggers drawn, as rival houses fought for the throne of England and spilled the blood of thousands. Thankfully, the former enmity between these history-steeped cities has been replaced by nothing more life-threatening than a bit of friendly Lanky v Yorkie cross-border ribbing, as Lancashire and Yorkshire compete for status and sporting honours. ‘Wars of the Roses’ is a term that often crops up in any discussion of Lancashire v Yorkshire rivalry, but the combatants in those 15th century York v Lancaster battles didn’t actually call them that. The 30-year struggle that began in 1455 was better known to contemporaries as The Cousins’ Wars. The white rose was one of many badges used by the Yorkists, and Lancaster’s red rose was probably not adopted until the final years leading up to 1485, when York’s Richard III was killed at Bosworth and Lancastrian Henry VII took the throne. The ‘Roses’ tag was popularised by Shakespeare and other writers, and the term ‘Wars of the Roses’ was apparently coined by romantic writers as late as the 19th century. York in a day? Impossible! 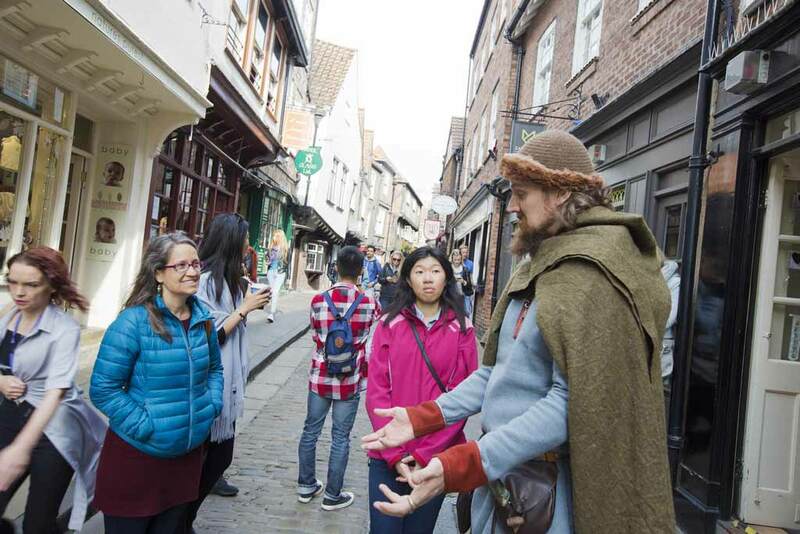 For sheer numbers of attractions, York has history around every corner within its Roman city walls, and there’s no way you can do it justice on a single day’s visit. You’ll want to stay for a few days or return again and again. At York Minster, with its medieval stained glass and stone masterpieces, vast spaces come alive with the sanctity and tradition of worship and heavenly music, but you can also find quiet corners revealing great treasures, unexpected stories and human inspiration. The York Minster Revealed project helped transform the experience of visiting the cathedral. A new state-of-the-art attraction – Revealing York Minster in the Undercroft – was developed allowing visitors to explore 2,000 years of history at the site through interactive chambers beneath the Minster. New family trails featuring Minster mascot Monty the Monkey and Little Explorer Backpacks are helping young adventurers explore the 800 year old cathedral. Near the Minster is Treasurer’s House, a fine 17th Century house that was once home to the treasurers of York Minster. It’s now a National Trust property, where visitors can join a guided tour and see four centuries of the elegant interior. Jorvik Viking experience, reopening in April after a multi-million pound re-imagining, takes visitors back to the sights, sounds – and smells! – of when the Norsemen ruled the north of England. 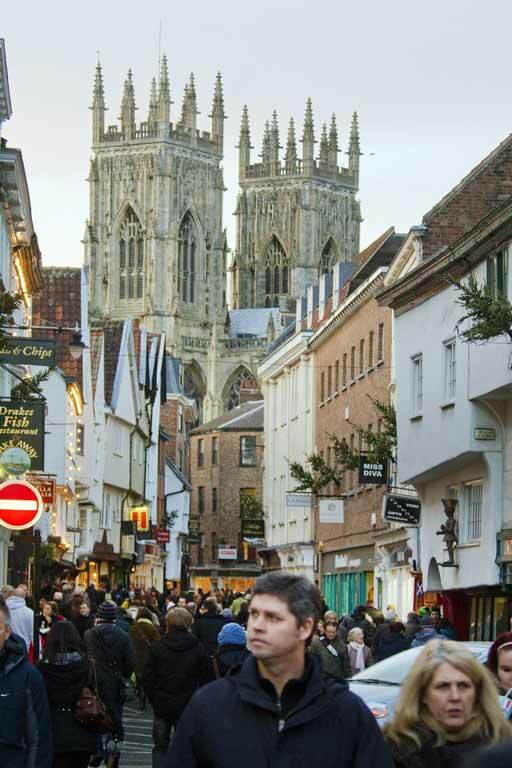 A visit to York wouldn’t be complete without a stroll down The Shambles with its overhanging timber-framed buildings, some dating from the fourteenth century, it was where dozens of butchers’ shops used to sell their meat, and is now home to a huge selection of quirky shops, pubs and eating houses. At the Yorkshire Museum, visitors see the whole story of York. From pre-history to the city’s medieval splendour, with recreated Jacobean dining rooms and tales of infamous Victorian criminals and all the way to the Space Age and the swinging Sixties. 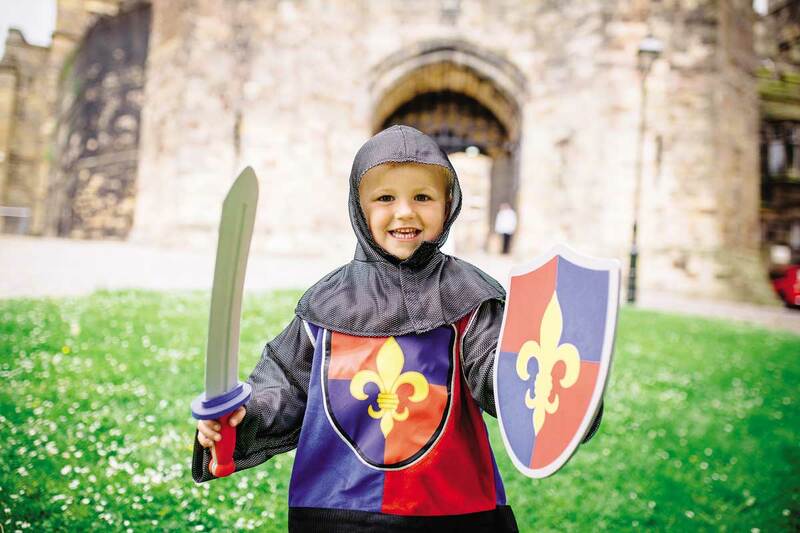 Hundreds of years of York’s history are gathered in York Castle Museum, where interactive galleries hold thousands of historic objects that really bring the past to life, and new exhibitions offer fascinating displays and innovative new ways of learning about York’s past. Nearby, standing proud on its mound, is Clifford’s Tower the largest remaining part of York Castle and once the centre of government for the north of England. The original 11th-century timber tower was burned down in 1190, after York’s Jewish was besieged here by a mob and committed mass suicide. The present 13th-century stone tower was probably used as a treasury and later as a prison. Much later in history, York earned a reputation as a railway city, and railway fans of all ages could do no better than visit the National Railway Museum. It’s a fantastic free day out for the whole family in York, where visitors can get up close to more than 200 years of fascinating history, explore the giant halls full of trains and railway legends including Mallar. The City Walls of York are the finest and most complete of any town in England, with five main “bars” (big gateways), one postern (a small gateway) one Victorian gateway, and 45 towers. At two miles, they are also the longest town walls in the country, and provide a stroll through 1,900 years of history. For shopaholics Vangarde Shopping Park is the place to be providing a superior and modern shopping experience, enhancing the attractiveness of Monks Cross as a top retail destination in York. It also houses York’s first John Lewis department store, the region’s largest M&S department store along with a state of the art Next store. If you fancy a bite to eat there’s a wealth of fine eateries including York’s first giraffe restaurant, Nandos, Ed’s Easy Diner and Frankie & Benny’s and with 1,340 car parking spaces there’s no problem with parking. York is famed for its rich heritage and stunning architecture but is also a very student-friendly city. The real enjoyment of the city comes from being a York student and having the opportunity to fully immerse yourself in the city’s cultural hub and educational opportunities. If the thought of studying in such an ancient yet vibrant city appeals then why not apply to study at, the Ofsted ‘Outstanding’ York College? York College is the largest educational provider for 16-19 year olds in the region and boasts around 40 A Level and 80 Vocational courses, as well as state of the art facilities. The College also offers a range of over 20 Apprenticeships for students of all ages and numerous Adult courses from professional qualifications to learning for fun. For those wanting the ultimate York student experience there are a selection of Higher Education courses available with low course fees, excellent student support and even a graduation ceremony at York Minster. It’s not too late to apply for the September 2017 intake, so potential students are invited to pop along to the Open Evening on March 8th (6pm to 8pm) to learn how to gain a qualification while enjoying the sights and sounds of Yorkshire’s capital. For people who love history of the horrible sort – full of the grim tales and grisly deaths that kids love –Lancaster is a marvellous city to visit. An English Heritage City, Lancaster is one of England’s most vibrant historic cities where culture and heritage continue to captivate visitors. day visitors of all ages. The judges who sent the poor unfortunate to the gallows used to stay nearby in the Judges’ Lodgings, dating from 1550 and the oldest house in Lancaster. It was originally home to a keeper of Lancaster Castle, Thoamas Covell, who was a merciless witch hunter. Between 1776 and 1975 judges visiting the court at Lancaster Castle lodged here, and now it’s a fascinating museum housing childhood artefacts and a large collection of Gillow furniture. Lancaster City Museum in the heart of the historic city is home to temporary exhibitions, events and family trails, with always something new to see. You can enjoy the History of Lancaster gallery that tells the story of Lancaster from prehistoric times right up to the 20th Century. The King’s Own Royal Regiment Museum sits within the City Museum. Lancaster City Museum is open free of charge, there’s plenty of time to fit a visit around shopping, eating or visiting other historic attractions. Before the River Lune silted up, Lancaster was one of the five busiest ports in Britain, with tall ships sailing right into the city. The colonnaded Custom House, a fine Georgian building on St George’s Quay, now houses Lancaster Maritime Museum. This award-winning museum delves into Lancaster’s ‘Golden Age’, and Easter marks the grand reopening of the Transatlantic Trade gallery which explores the city’s maritime trading past and its less than savoury role in the transatlantic slave trade. Alongside the museum are buildings which belonged to slave trader Dodshon Foster, who prospered at his trade despite being a Quaker, the religious order that opposed slavery in the strong belief that all men were equal. Water-borne trade of a less objectionable nature is reflected in the Lancaster Canal, 43 miles of lock-free canal winding its way Preston to Lancaster through villages and open farmland. It used to carry boats all the way to Kendal, and although it was cut off beyond Carnforth by the M6 and new road schemes it’s still a magnet for leisure boaters and country lovers. 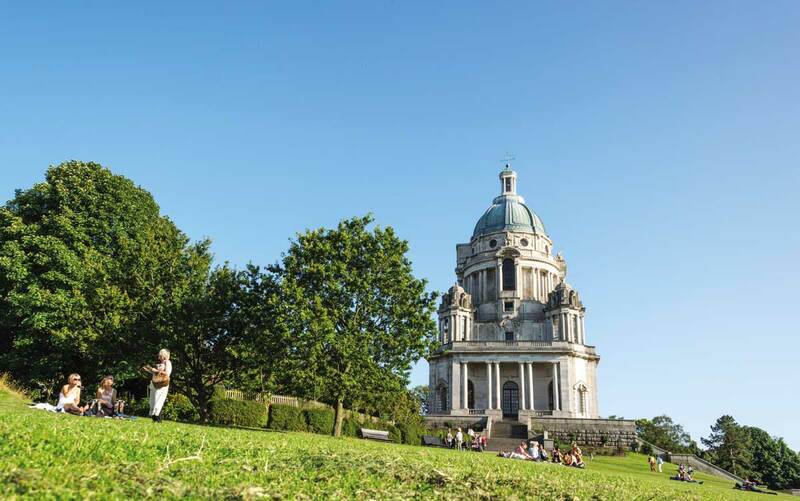 Drivers passing Lancaster on the M6 can’t fail to notice the Ashton Memorial, an Edwardian Baroque memorial looking like a mini St Paul’s high on a hill, dominating Lancaster’s skyline. The 150ft tall ‘jelly mould’ was commissioned by Lancaster’s ‘Lino King’, Lord Ashton. Arts, crafts and theatre figure large in Lancaster life, with theatres in the city centre and Lancaster University on the outskirts helping to keep the creative juices flowing. The stage is set for a show-stopping future for The Grand Theatre in St Leonard’s Gate, in the city centre, as it embarks on an ambitious plan to create a stunning new theatrical space for the local community. It’s planned that the £1.35m funding will be used to transform and revitalise the Grade II listed building with a two-storey extension to provide space for a new foyer, bar as well as a space to host conferences, functions, small studio productions and educational projects. First opened in 1782 and remodelled in 1897, the Grand was almost destroyed by fire in 1908 but was quickly rebuilt and reopened eight months later in Edwardian style. 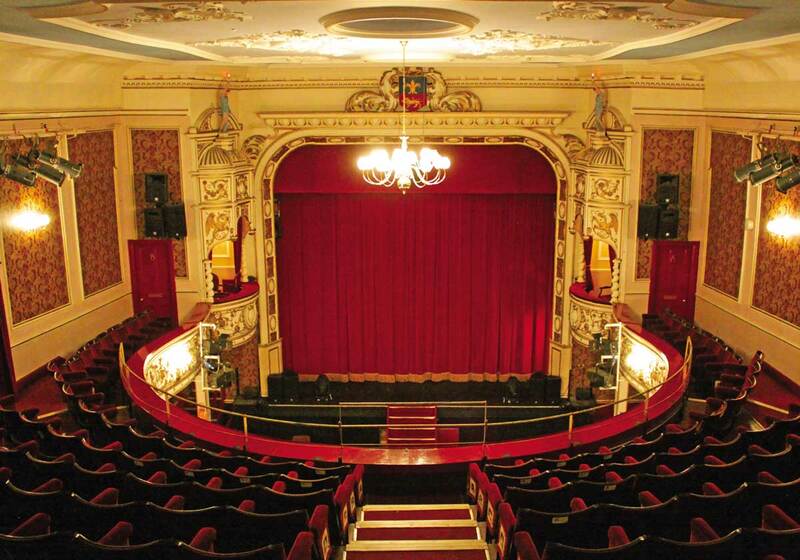 The theatre, which is unfunded, has already raised £180,000 and is soon to receive a legacy donation of some £300,000. The Grand team are currently working on a marketing and fundraising strategy with brand marketing agency Better with Jam, who anticipate the remaining money will be raised through sponsorship, donations, trusts and foundations and possibly a crowdfunding campaign. The campaign is expected to start this summer. To register your interest or help with fundraising, email mike@lancastergrand.co.uk. 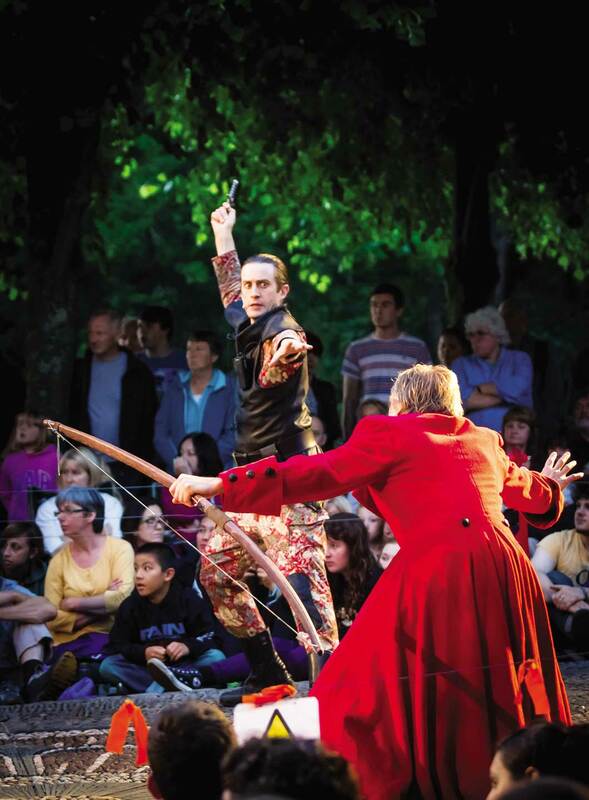 Lancaster Arts at Lancaster University is an awardwinning arts provider, with an acclaimed reputation for the presentation, creation and development of innovative performance and art, presenting a regular programme of internationally renowned theatre, dance, visual art and classical music. The Peter Scott Gallery hosts a variety of touring exhibitions and its own collection includes prints from important 20th Century artists such as Miro and Picasso, Chinese and Japanese antiquities and arts and crafts era ceramics. For more than 45 years the Great Hall has held concerts by soloists, composers and players of significant national and international standing including the BBC Philharmonic, Tchaikovsky Symphony Orchestra of Moscow Radio and the National Youth Jazz Orchestra. See www.lancasterarts.org for full details of all events.